TRY TO LIVE TO BE A LEGEND WHEN YOU ARE GONE. .. Sometimes i think out loud about my purpose in this life, and after the long walk of life what i shall be remembered for. Basically, by the time of your demise what Legacy will you have left in this world to be remembered for? We have had many reknown personalities existing in this Earth since time immemorial, there were good people or people who were known for their brutal and inhumane way of doing things. These categories of people played a role in shaping the society into what it is today. These personalities played a role in either shaping the social, economic,political and cultural aspects of life. I will look at the life of one man, Abraham Lincoln. 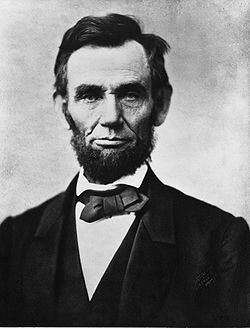 Abraham Lincoln (1809 – 1865) US President during world war 1-This is one man who really shaped politics in his time and his story is so inspiring. Abraham lost his mother, and his father moved away to Indiana. Abraham had to do hard manual labour such as splitting logs. He had a thirst for knowledge and worked hard to excel in his studies too. He became a lawyer and worked in Illinois court. He gained respect and was nicknamed ‘Honest Abe.’ He often encouraged neighbours to mediate their own conflicts rather than legal litigation. He had a good sense of humour and had capacity to defuse tense and argumentative situations, that gave an optimistic view of human nature. He loved to tell stories to illustrate a serious point through the use of humour and parables. He also developed a capacity for quick thinking and oratory. He stood for public office in 1847 and was elected to the House of Representatives for Illinois from 1847-49. During his period in Congress, Lincoln criticised President Folk’s handling of the American-Mexican War, arguing Polk used patriotism and military glory to defend the unjust action of taking Mexican territory. Unfortunately he was not re-elected. The 1850s saw the slavery question re-emerge as a prominent divisive national issue. Lincoln abhorred slavery and from a political perspective wished to prevent slavery being extended and ultimately be phased out. He gave influential speeches, which drew on the Declaration of Independence to prove the Founding Fathers had intended to stop the spread of slavery. In 1858, Lincoln was nominated as Republican candidate for the Senate which he lost. He continued giving speeches against slavery. He was eventually chosen as Republican nominee for President in 1860. Despite the divide between the north and the south he won, but the nation was torn to a civil war in which the north which wanted abolition of slavery worn. He had a task of uniting a divided nation and his main agenda was to abolish slavery completely in which he succeeded. Lincoln amazed many when he decided to include his political enemies in his cabinet. Five days after the surrender of Robert E. Lee and the Confederate Army, Lincoln was assassinated by John Wilkes Booth while visiting Ford’s Theatre. Lincoln is widely regarded as of America’s most influential and important presidents. As well as saving the Union and promoting Republican values, Lincoln was viewed as embodying the ideals of honesty and integrity. His speeches and wise words are still used to this day. I pose a question to you, what have you done that has changed or impacted positively to society. Step up, Make yourself count in this era! Previous postWake up and step up…….